The NANOSENSORS Membrane-type Surface-stress Sensor (MSS) is a device to detect specific components in gaseous phase with high sensitivity using a piezoresisitive nanomechanical sensor. 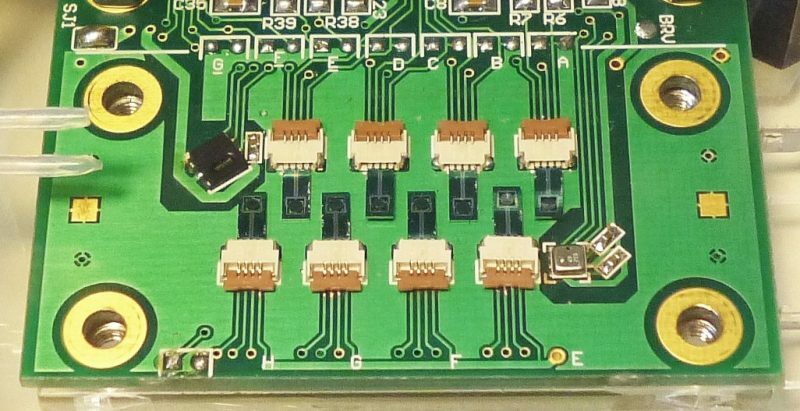 This device shows great potential as a core component for electronic-nose (olfactory) systems utilized in e.g., medical, food, environment, safety and security fields. Now NANOSENSORS™ introduces the MSS 8 Channel Readout Module (MSS-8RM), a basic electronic module to operate and to readout NANOSENSORS™ MSS, up to 8 sensors simultaneously, under a hardware configuration for electronic-nose sensing. MSS-8RM contains two air pumps and users can examine “self-prepared” MSS (compatible: SD-MSS-1K and SD-MSS-1K2G) under different gas flow conditions. MSS-8RM is designed as simply as possible so that users can learn about a basic electronic-nose system and further improve the system performance. MSS-8RM does not include any data processing functions to distinguish one sample from the other. Users will obtain raw numerical data of the sensor responses under different conditions as final output. 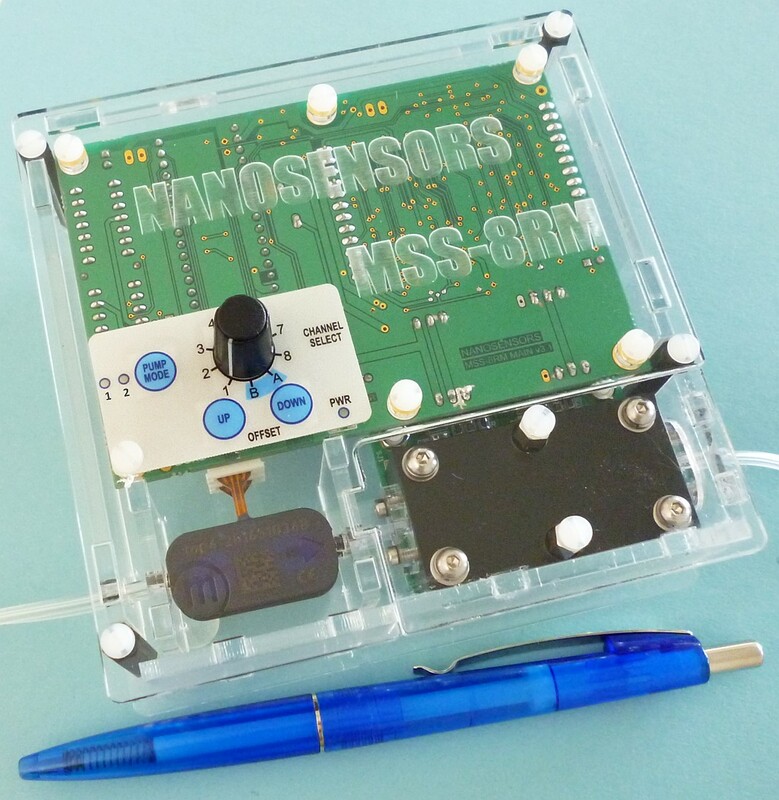 NANOSENSORS™ has added MSS-8RM – MSS 8 Channel Readout Module (order code: SD-MSS-8RM ) – to its Special Development list (http://www.nanosensors.com/pdf/SpecialDevelopmentsList.pdf).